The terms Quality Control and Quality Assurance are distinct topics but they are often misunderstood by program and project managers. When embarking on a project you should understand both the quality control and quality assurance processes involved. Quality Control (QC) refers to the specific quality activities which are performed during the creation of the deliverables, to ensure that those deliverables are correct and complete, according to a defined quality criteria or the expectations of the customer. Examples of Quality Control activities include unit testing and peer reviews. Quality Assurance (QA) refers to the process or set of procedures designed to ensure the deliverables meet their requirements. You can think of Quality Control happening as the deliverable is produced, while Quality Assurance starts before any deliverable is created. If your project was to be audited, the auditor will probably not be able to tell if the deliverables are at the right quality level (QC), but they will be able to see if the deliverable should be acceptable based on the processes used to create it (QA). The concept of Quality Management came into existance around the time of the industrial revolution in the 19th century. Before this time quality was a matter of pride for those craftsmen creating products. Whilst the industrial revolution certainly led to improved output and efficiency, much of the pride associated with peoples work was lost because the work was seen as drudgery. If the descriptions above are a little too academic for you, then here’s an example that should make everything clear. Suppose you’re managing a project and you want budgetary approval to proceed with your plans for the next stage of the project. How is your steering group to know that the plans are accurate and contain the correct requirements specified to the right level of detail? One method is to review your plans in detail. This would effectively be quality control as they would be checking your deliverables. However, in our example we’re going to assume that the plan is complex, the requirements are many, and the steering group just doesn’t have the time or detailed knowledge necessary to work through and understand the plan. Given this, how can the steering group possibly give your project budgetary approval to proceed to the next stage? Well, if they asked you how you built and validated your plan, and you we’re able to show that you followed your organization’s official plan creation process, and that all stakeholders had signed off the plan as acceptable, then the steering board might be assured (QA) that you had indeed produced a sensible plan. Quality Control and Quality Assurance are terms which are often misunderstood by project managers, amongst others. A simple way to remember the difference is that Quality Control checks the deliverables themselves, whilst Quality Assurance concentrates on the processes used to create those deliverables. Hi Isabelle,Two things raiten my attention in this post.1- Plan the celebration. It’s a good practice to see this as an activity in the project plan. Don’t miss the opportunity to congratulate and thank your employees.2- The project plan must be approved by the steering committee. 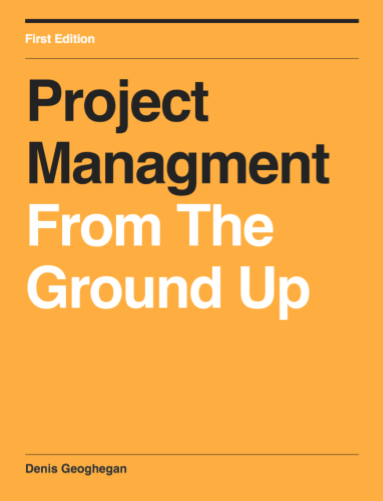 If not, the project manager will have to face implementation problems during the project.Great post!